Before continuing, we recommend going through the OpenThread Hardware Codelab, which details how to set up your environment and install all tools and software needed to flash the nRF52840 DK board used in this guide. Build the nRF52840 example. The USB=1 switch enables native USB CDC ACM as a serial transport. 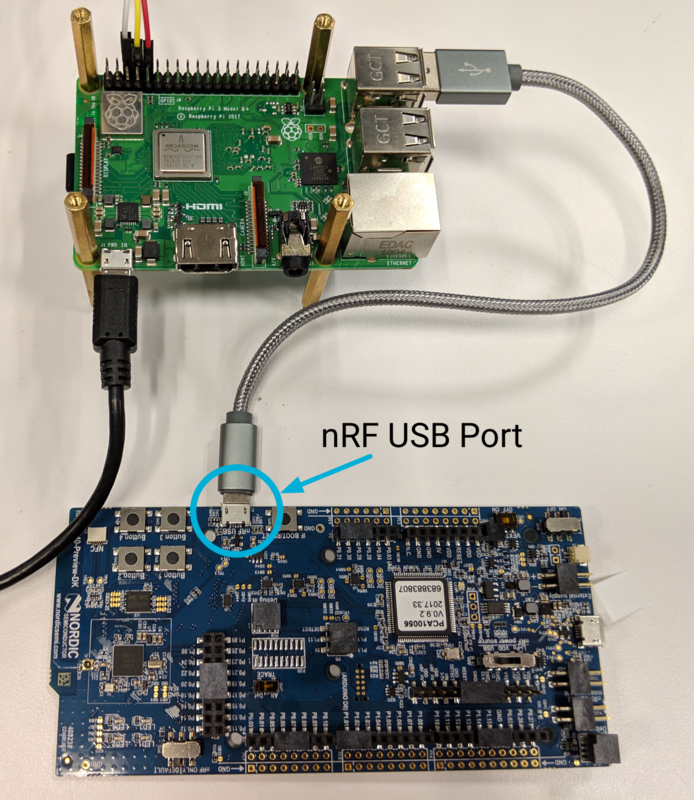 See the Flash the nRF52840 and Connect the nRF52840 steps from the Pre-Built NCP Firmware guide for instructions on how to flash the nRF52840 DK board as an NCP and connect it to the Raspberry Pi. Similar instructions are also found in the OpenThread Hardware Codelab. See the Download and install the OS step from the Raspberry Pi 3B (RPi3B) Border Router platform page for instructions on how to install the OS and configure the device. The Border Router should now be up and running. See OpenThread Border Router for more information about OTBR.